Our doctors take contact lens fitting, instruction on proper lens care, and follow-up care very seriously. We stay abreast of the latest developments in contact lens technology, and offer all types of lenses, including disposables, bifocal and colored contacts, and gas permeable lenses. Even if you’ve been told you are not a candidate for contacts, you might be surprised. Today, patients with dry eye syndrome or high astigmatism power are now able to wear contact lenses. 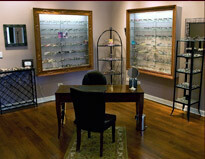 At Urban Eyecare, we take the time to find the right fit and the best correction possible in lenses. “I was having trouble with double vision because my contacts were not the correct strength and [Dr. Milsap] fixed the problem. For about 2 months, I was coming in every 2 weeks to try out a different kind of contacts until I found one I liked. Not only was I not charged for each of these “fittings” but I found the perfect contact brand this way.